2 What is Oleic Acid? Oleic acid reduces blood pressure, increases fat burning to help with weight loss, protects cells from free radical damage, may prevent type 2 diabetes, prevents ulcerative colitis and generates brain myelin. Milk fat contains 25% oleic acid. Oleic acid is an monounsaturated omega-9 fatty acid with many health benefits. 1) Oleic acid reduces blood pressure. Oleic acid regulates the activity of adrenoreceptor signaling pathways which direct the adrenergic receptors (α- and β-adrenoceptors) that help regulate blood pressure (Teres et al. 2008). Eating a diet high in oleic acid for 4 weeks reduced blood pressure while increasing good HDL cholesterol in women (Ruiz-Gutiérrez et al. 1996). 2) Oleic acid may help you burn fat. Oleic acid normalizes or increases fat oxidation (burning). Lim et al. (2013) found that oleic acid increases the expression of genes involved in fat burning. This means that your body is more efficient at using fat as fuel. In addition oleic acid accelerated rates of complete fat oxidation in muscle cells. 3) Diets rich in oleic acid prevent ulcerative colitis. People consuming the highest amounts of oleic acid were 89% less likely to have ulcerative colitis than those consuming the least amount of oleic acid (de Silva et al. 2014). 4) Oleic acid alleviates type 2 diabetes. Oleic acid reverses the symptoms caused by type 2 diabetes in mice (Vassilious et al. 2009). Consuming oleic acid inhibited the inflammatory cytokine TNF-α which is produced by fat cells in obese people and contributes to metabolic syndrome (Yudkin 2007, Vassilious et al. 2009). A diet high in oleic acid may reduce the inflammation seen in obesity and non-insulin dependant obesity (Vassilious et al. 2009). 5) Oleic acid protects cell membranes from free radicals. When you consume oleic acid, it replaces other omega fatty acids in cell membranes. Since oleic acid is less susceptible to oxidation damage than omega-6 and omega-3 fatty acids, replacing these fatty acids with oleic acid protects your cell membranes from free radicals and other oxidative stressors (Haug et al. 2007). Sumich et al. (2013) looked at the connection between concentrations of blood fats in the brain and personality traits in adolescent boys with attention deficit hyperactivity disorder. Boys with a higher concentration of oleic acid had more traits associated with plasticity. Plasticity is a positive personality trait associated with extraversion (positive emotion, enthusiasm, sociability, assertiveness) and openness (imagination, intelligence, curiosity, creativity). Brain function may be associated with brain fat composition. 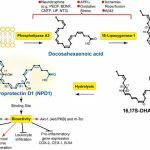 A recent study found a 6.2% decline in oleic acid in the postmortem brains of patients who had been suffering from major depressive disorder when compared to a normal brain (Hamazaki et al. 2012). Likewise, postmortem brain plasma from people with Alzheimer’s disease or mild cognitive impairment had a 80% and 70%, respectively, lower oleic acid isomer concentration than those with no cognitive impairment (Cunnane et al. 2012). 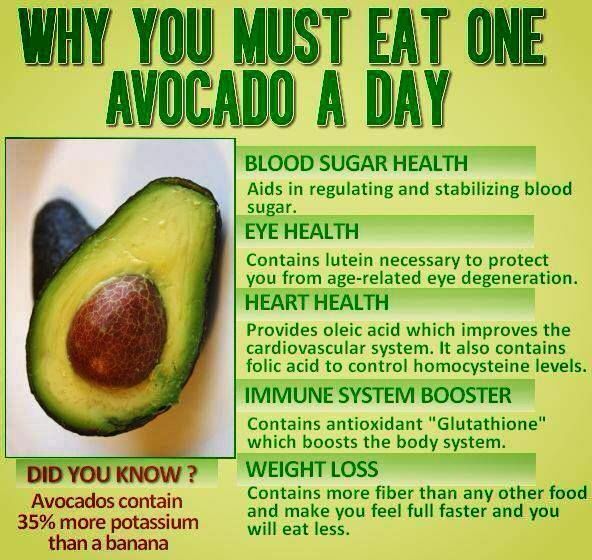 Oleic acid seems to be necessary for proper brain function. Myelin is a protective covering or sheath that twists around nerves (neurons), including nerves in the brain. Myelin is made of 70% fat and 30% protein. Oleic acid is one of the most common fats in myelin. Picture: A neuron cell showing myelin sheaths wrapped around axons. Myelin is vital for nerve functioning. It wraps around nerves and enables them to communicate effectively with each other. Information is passed through nerves in an electrical signal called an action potential. The rate at which information can be transferred depends on the both the active and passive flow of electrical current. Myelin insulates the nerves and prevents electrical current from leaking out of the axon (an axon is a nerve fiber that carries the action potential from a nerve body to a target). This increases the speed of the action potential by over 10 fold. Unmyelinated axon conduction velocities range from 0.5 to 10 m/s, while myelinated axons can reach a speed up to 150 m/s. The reason for the increase in speed in myelinated nerves is due to gaps in the myelin insulation called nodes of Ranvier (which sounds like a fantasy role playing game title: “I wasted all weekend in a Nodes of Ranvier marathon!”). Action potentials basically ‘jump’ from one node to the next which increases their speed dramatically. If myelin is damaged the brain begins to lose function due to the slow speed of nerves. It is like trying to download a movie on a dial-up internet connection connected to a damaged phone line. Information gets lost, stalled and jumbled. Multiple Sclerosis (MS) is one common disorder resulting from damaged myelin. This chronic disorder attacks nerve myelin in the brain, spine and eyes. It can result in loss of vision, paralysis, balance problems, cognitive dysfunction, chronic pain and other symptoms. Oleic acid doesn’t just help synthesize myelin. It can also be used as a cell signaling molecule. Natali et al. (2007) reported that oleic acid regulate cholesterol and lipogenesis (making fat) in the brain of rats. Another animal study reported that a diet high in monounsaturated fats (including oleic acid) reduces age-related changes in the brain’s mitochondria (Ochoa et al. 2011). People and rats with heart failure are unable to process or store fats for use as fuel. This causes the heart to become energy starved and muscles start to break down. Lahey et al. (2014) reported that diseased rat’s hearts perfused with oleic acid behaved more like healthy rat hearts. Oleic acid restored the heart’s ability to properly use and store fats for fuel. This allowed the heart to function more like a healthy heart (Lahey et al. 2014). Interesting fact: Oleic oil is one of two major ingredient in Lorenzo’s Oil. This oil has been shown to delay or prevent the onset of adrenoleukodystrophy (ALD), a fatal genetic disorder, in young boys. It may also prolong their life. The story of how Lorenzo’s Oil was developed truly demonstrates the depths of parental devotion. May be responsible for most of the health benefits of olive oil! In the 1958 E.O. Wilson PHD, now an eminent ant scholar, was curious about how ants decided that a coworker was dead. As a dedicated entomologist he had a thriving colony of ants, Pogonomyrmex barbatus, in his laboratory. Although office workers may question the decision to keep an intact insect colony on your desk it provides endless opportunities to avoid work while ‘studying’ the ants’ behavior. It certainly beats a swinging pendulum to pass the time. Observing his six legged pets over time, Wilson noticed that ants would pass by a deceased ant for about two days while totally ignoring it. Suddenly, on the third day the ants would pick up the dead ant and dump it in the ant graveyard. Wilson believed the ants were responding to a chemical signal given off by the dead ant. Picture: Fire Ant in Repose. Excited by his new idea Wilson and his colleagues immediately begin to collect all the compounds emitted by dead bodies and test them on his ants. This included several pungent fatty acids, as well as skatole, which is emitted by feces, and trimethylamine, which is responsible for the delightful odor of rotting fish. I imagine this made him very popular with his coworkers. Finally, Wilson tested oleic acid and had a hit. One drop of oleic acid placed on a live ant’s head resulted in the poor gal being dragged over to the graveyard protesting the whole way. She tried to clean herself and return to the colony but was again bodily picked up and carried over to the ant cemetery. Finally, after about an hour or two, the ant managed to clean herself well enough to safely resume work in the colony. Check out Wilson’s original paper on his work, Chemical releasers of necrophoric behavior in ants. Wilson also has the distinction of having identified the first fire ant colony in the southern USA. As a former Texan I have a special place, which is definitely not in my heart, for fire ants. For all those who haven’t had the pleasure of living in a Southern state, fire ants are imported stinging and biting pests who unfortunately like to cooperate with each other in their plan to dominate the world. These Brazilian ants, Solenopsis invicta, build multiple nest mounds each which can contain up to a quarter million ants. Some huge nests are polygyne meaning they have up to 100 queen ants and a population in the millions. Fire ants are extremely aggressive. They sting everything, whether it is moving or not, on the off chance it could be an enemy, edible or both. I have seen them kill young chicks and small mammals with their venom. This devilish insect first bites to provide a good anchor and then it stings multiple times. The barbed stinger injects a venom containing an oily toxic alkaloid called Solenopsin A under the skin. A few days later, an itchy white pustule forms. The sting hurts just like you would expect a tiny barbed stinger injecting toxic substance would hurt. Doesn’t sound too bad, does it? The catch is, you are never stung by only one fire ant. Fire ants are all bbfs that do do everything together so if you accidently stumble across a nest you are immediately swarmed by hundreds of ants. To make it worse, fire ants seem to take great delight in coordinating their stings with each other. Unfortunate individuals mowing the lawn in Texas would often find this out. Hit one hidden nest with a blade and mowing would abruptly cease as the mower proceeded to do the fire ant jig caused by an overflow of stinging insects up their legs. Often this would result in the the person rapidly shedding most of their clothes on the lawn. Think about it, stings painful enough to make mooning the sweet grandmotherly lady next door while doing the ants in your pants dance seem like the sensible thing to do. Wilson is a controversial scientist who just recently advanced the theory that group cooperation and generosity not adversary and kin selection drive the evolutionary process. I wonder if he got the ideas from the fire ants? Wilson’s newest book is called The Social Conquest of Earth which he discusses in an interview here. Although he has taken some heat for his views, diversity in thought and ideas is good for science. The only way science is advanced is through novel ideas. Also, you have to admire anyone who is in their 80’s and still generating controversy. Haug A, Høstmark AT and Harstad OM. Bovine milk in human nutrition – a review. Lipids in Health and Disease 2007;6:25. Pubmed. Full text. Natali F, Siculella L, Salvati S, Gnoni GV. Oleic acid is a potent inhibitor of fatty acid and cholesterol synthesis in C6 glioma cells. J. Lipid Res. 2007;48:1966–1975. Pubmed. Full text. Ruiz-Gutiérrez V, Muriana FJ, Guerrero A, Cert AM, Villar J. Plasma lipids, erythrocyte membrane lipids, and blood pressure of hypertensive women after ingestion of dietary oleic acid from two different sources. J Hypertens. 1996;14:1483–1490. Pubmed. Teres S, Barcelo-Coblijn G, Benet M, Alvarez R, Bressani R, Halver JE, Escriba PV. Oleic acid content is responsible for the reduction in blood pressure induced by olive oil. Proceedings of the National Academy of Sciences. 2008;105:13811–6. Pubmed. Full text. Vassiliou EK, Gonzalez A, Garcia C, Tadros JH, Chakraborty G and Toney JH. 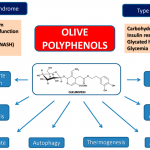 Oleic acid and peanut oil high in oleic acid reverse the inhibitory effect of insulin production of the inflammatory cytokine TNF-α both in vitro and in vivo systems. Lipids in Health and Disease 2009;8:25. Pubmed. Full text. Yudkin JS. Inflammation, obesity, and the metabolic syndrome. Horm Metab Res 2007;39:707-709. Pubmed.